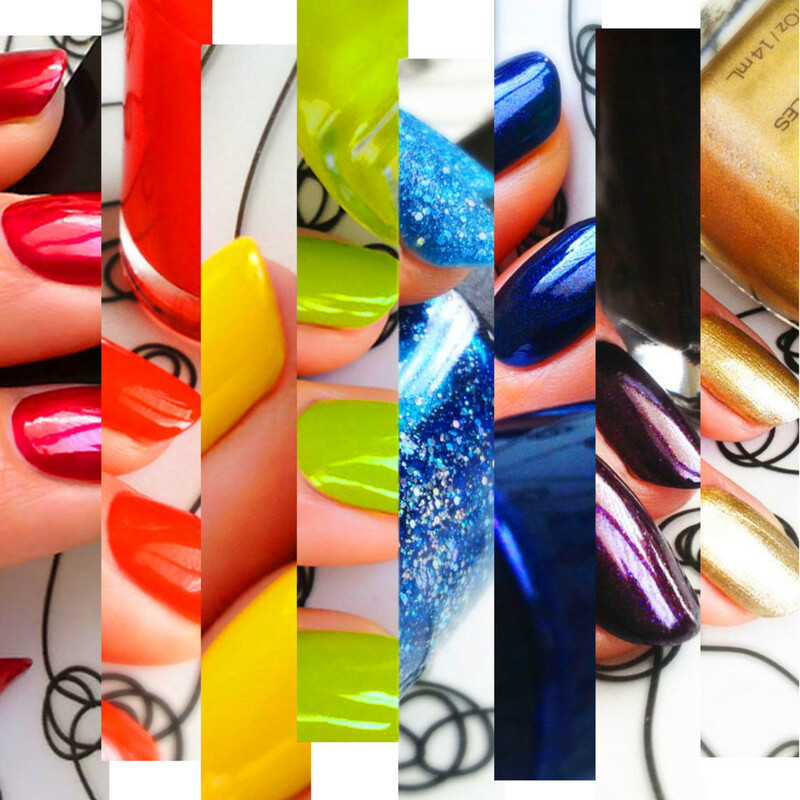 Consider this Mani Monday: The ROYGBIV Edition. Red, orange, yellow, green, blue, indigo and violet -- you can find all the shades in this summer nail polish rainbow, and its pot of gold, too, in stores now. 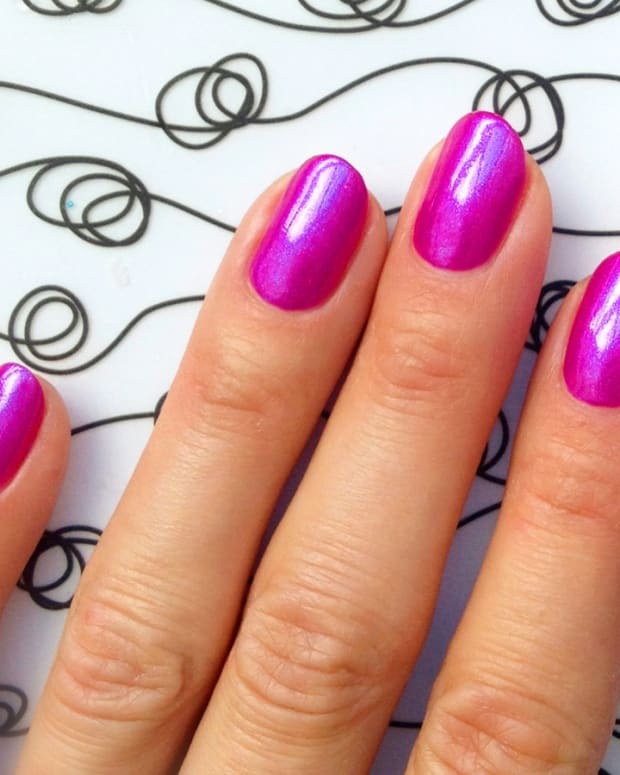 And if you like sparkle and texture, the new Quo by Orly MegaPixel FX collection hits shelves mid-August; check out three hot shades after the rainbow. 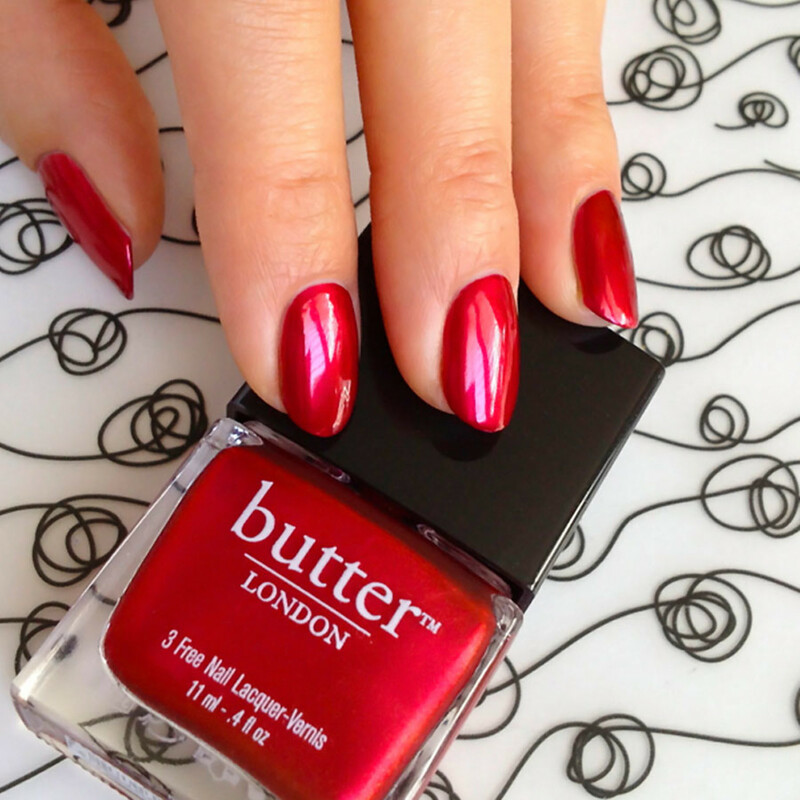 really red: Butter London Knees Up ($17.50, sephora.ca). My all-time favourite red. It’s best. 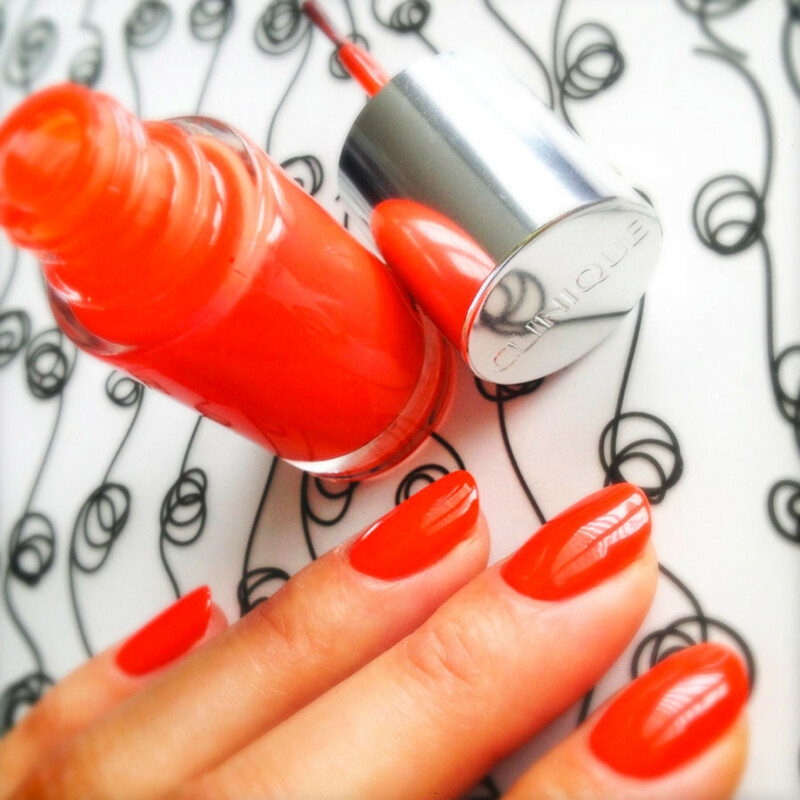 oh, so orange: Clinique A Different Kind of Polish Juiced Up ($12.50, clinique.ca, sephora.ca, The Bay). Juicy jelly orange. Love. 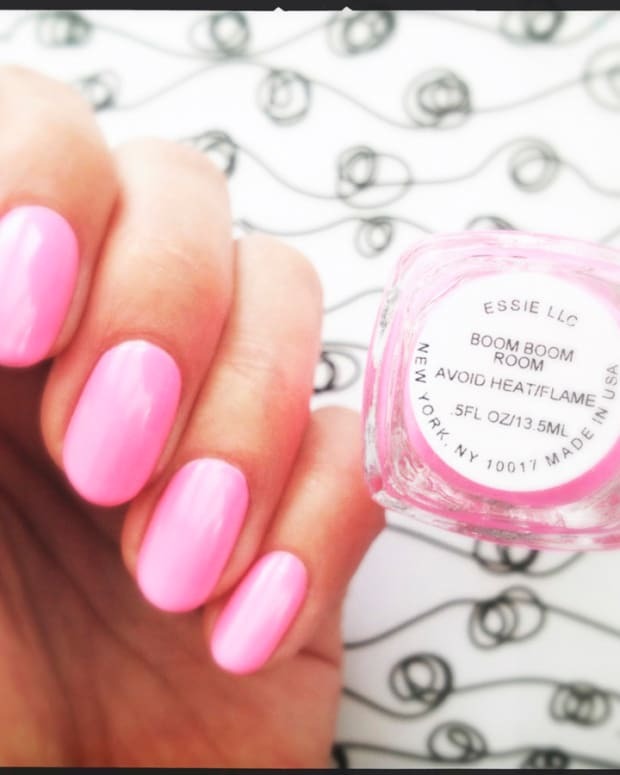 Destined to be a classic summer nail polish. 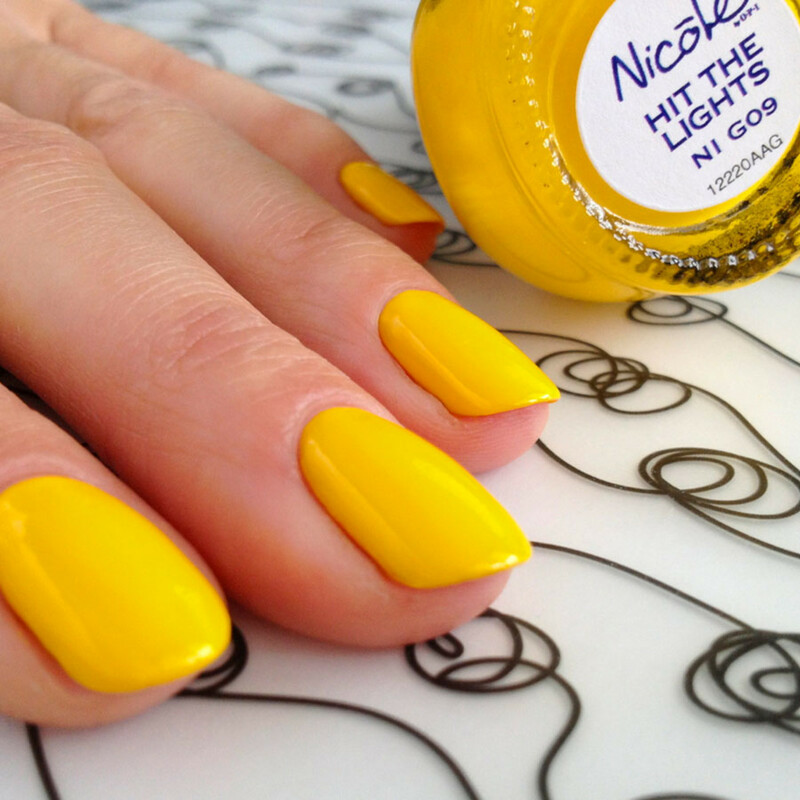 yes, it’s yellow: Nicole by OPI Hit The Lights (Selena Gomez Collection; $10.99 each, Shoppers Drug Mart, Walmart, Jean Coutu, Loblaws, nicolebyopi.com). Perfect primary yellow. giggly green: Essie The More The Merrier (Naughty Nautical Collection; $9.99, salons, select drugstores, essiecanada.ca for retailers). This green strikes my fancy. It reminds me of green apples and Shrek. Weird, I know. brilliantly blue: OPI Liquid Sand Get Your Number (Mariah Carey Collection, $10.95 each, opi.com for retailers). So many sparkles! 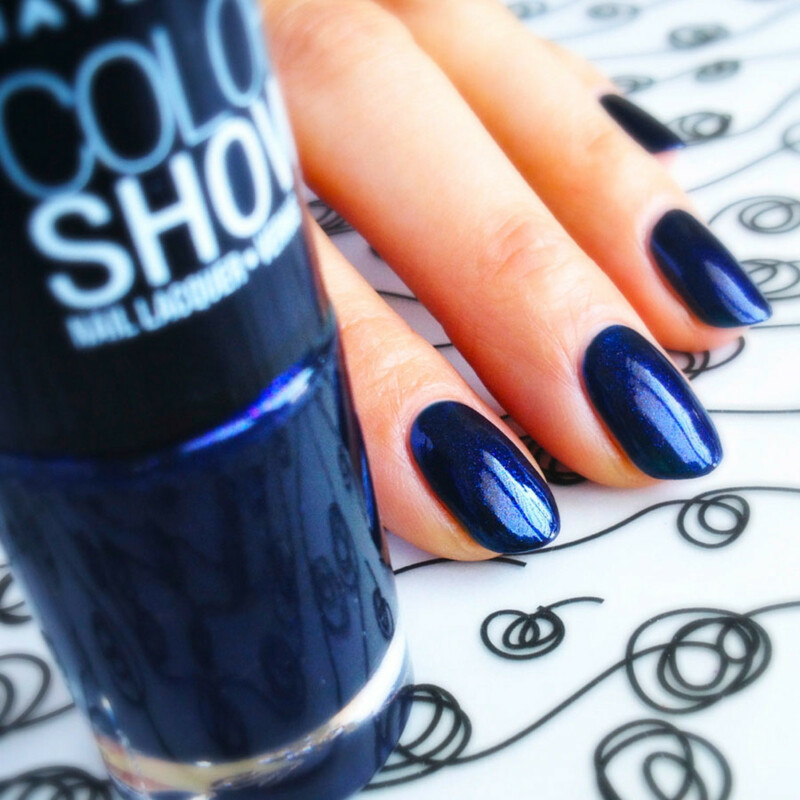 in the mood for indigo: Maybelline New York Color Show 350 Blue Freeze ($3.99, drugstores, mass retailers, maybelline.ca for more info). Subtle, understated shimmer for hot summer nights. violently violet: Chanel Le Vernis 583 Taboo ($27, department stores, Amazon.com). Gimme that. glittery pot-o-gold: Quo by ORLY Filthy Rich ($10, Shoppers Drug Mart). A two-coat, satiny finish, metallic wonder. 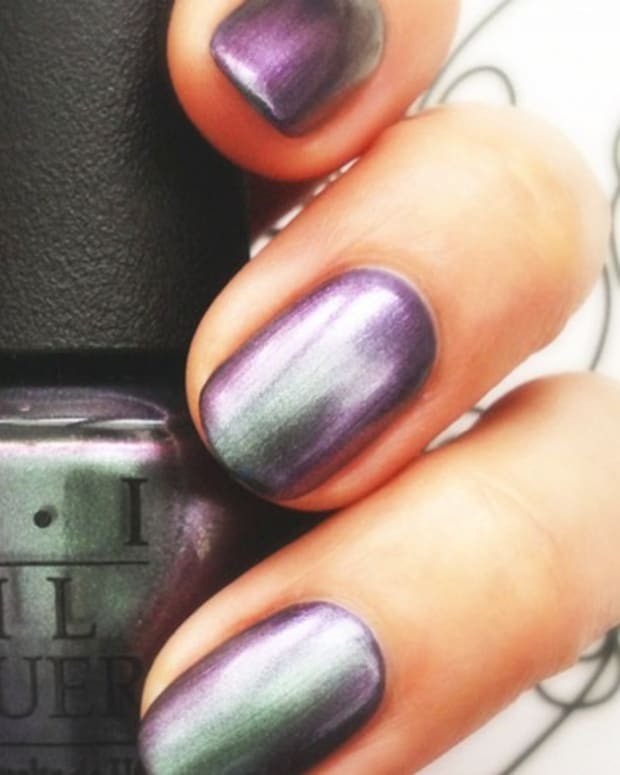 As mentioned at the top of this post, the ROYGBIV rainbow of polish is currently widely available. They&apos;re hot, though our summer is not. Also hot: the following three shades from the new Quo by ORLY MegaPixel FX line up ($10 each), which lands on shelves mid-this month. A 3D textured formula (like Liquid Sand), it&apos;s a snap to paint-and-go. Or paint then slap on a topcoat which smooths the texture without changing or dulling the sparkle in any way. As usual, the Quo brush needs a little bit of a trim before starting out, but apart from that, I think this quick-drying, multi-dimensional formula is the bee’s knees. 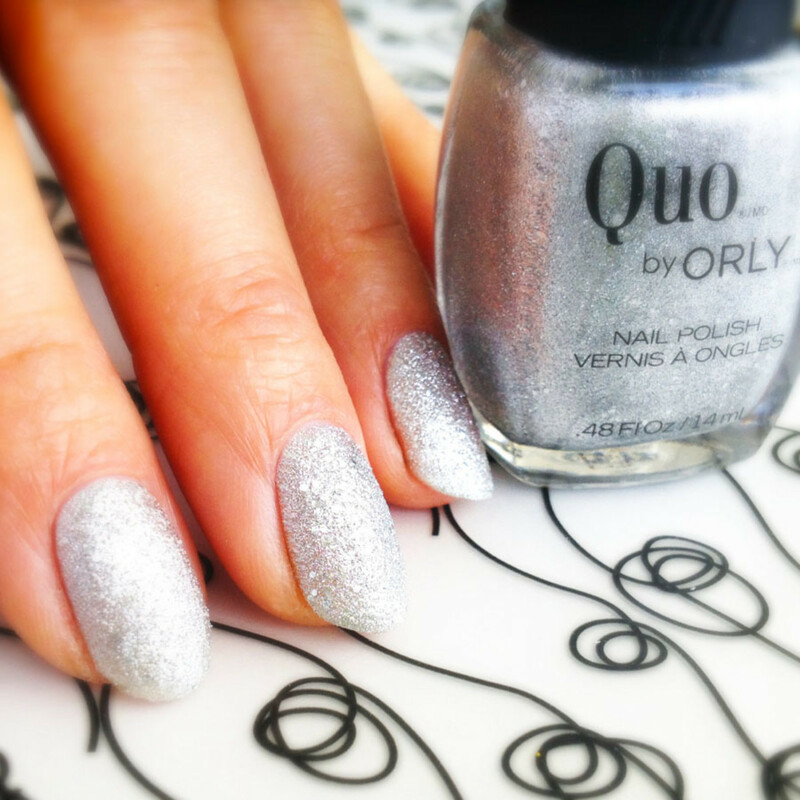 Quo by ORLY Mega Silver: Perfectly named – it’s mega all right. It’s so bright and so packed with sparkle ’n dimension that it’s almost white. I’d wear it at a wedding. And I tell ya what, by the time I’d finished one hand, this shade had made it up into my top five silvers. S’a good one. Quo by ORLY Mega Aqua: Yes, before you say it, it’s similar to OPI’s Tiffany Case Liquid Sand from The Bond Girls Collection. A little more aqua-ish and a little less denim-ish than the O.P.I. but equally as Gimmie That. I do love a good blue. Oh! I put top coat on the middle, ring, and pinky fingers before I took the picture so you could see if it made any sort of difference in the finished look. Do you see a difference? Is it worth the added dry time? Nope and nope. Any of these shades on your must-have-now list? Manicures ’n&apos; photos by Karen Falcon (she has a nice sister).